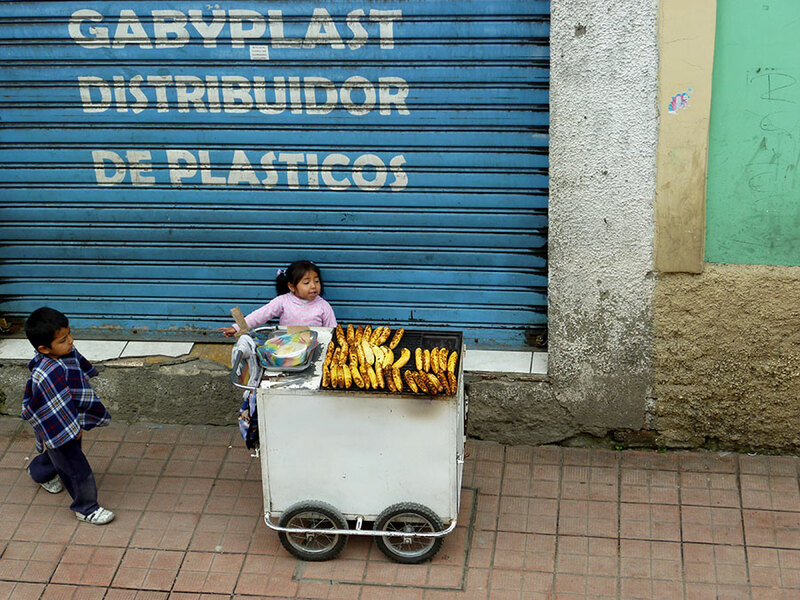 I wanted to share some of my memories of when I lived in Ecuador (in 2010). It actually took a long time to chose the ones I like, even though I only lived there for 6 months. I was entirely too poor to take advantage of extensively travelling throughout the country like my fellow English teachers. I was on a double decker bus when I took this shot. 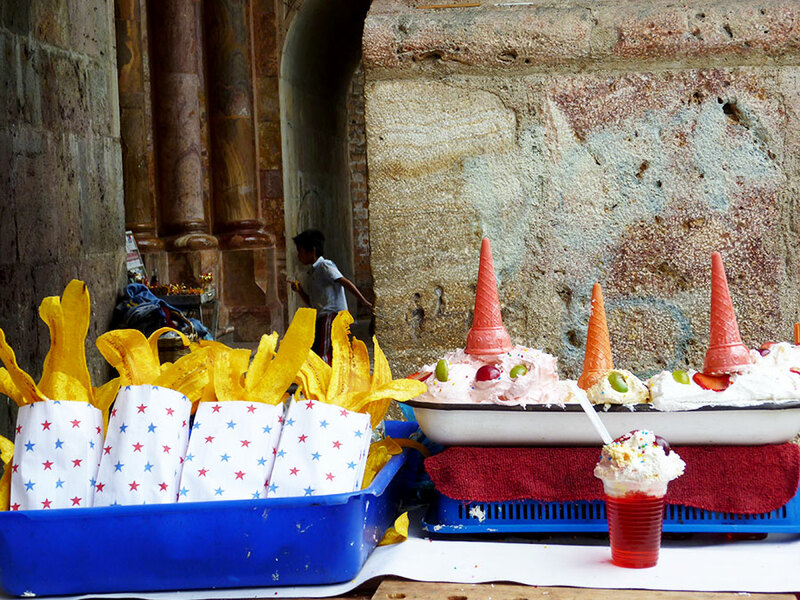 Loved the similarities I found between Ecuador and Thailand. 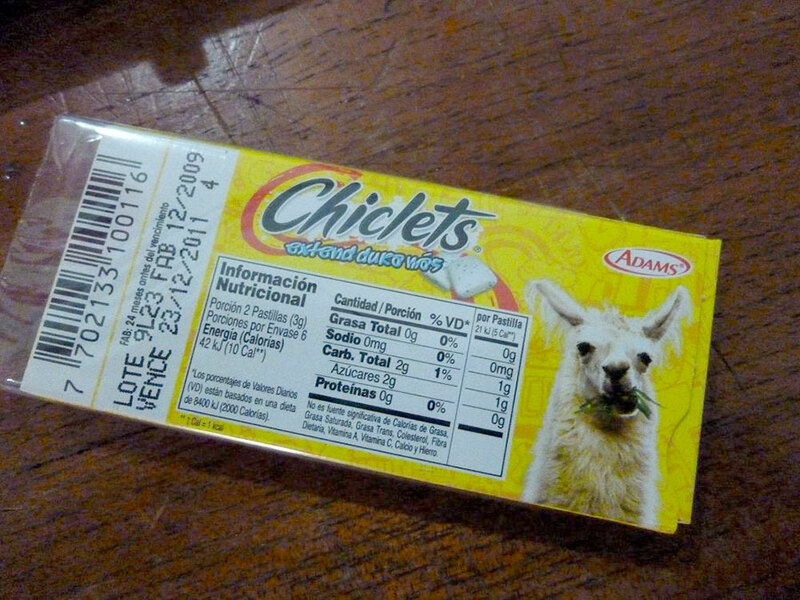 Uh, yeah, I was in LOVE with the llamas and thrilled to find them on packets of gum too. 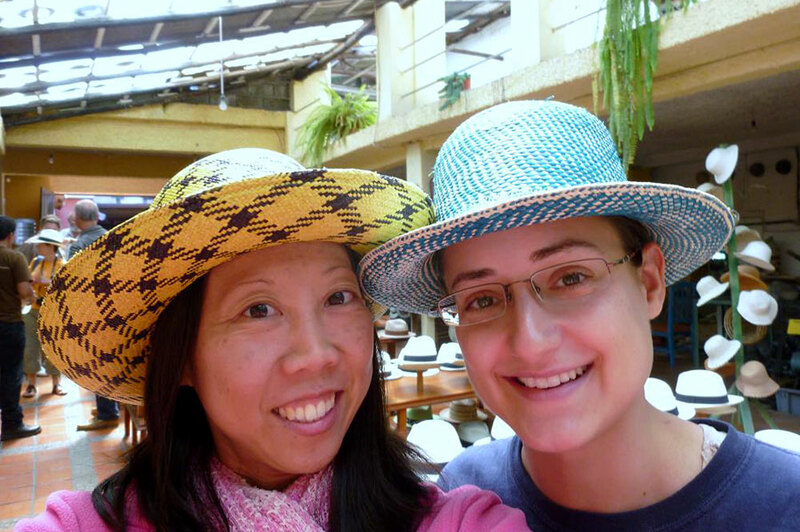 Jamie and I in Panama Hats at the Panama Hat Museum of course! My all-time favorite pic, we were at the Incapirca ruins for the summer solstice. 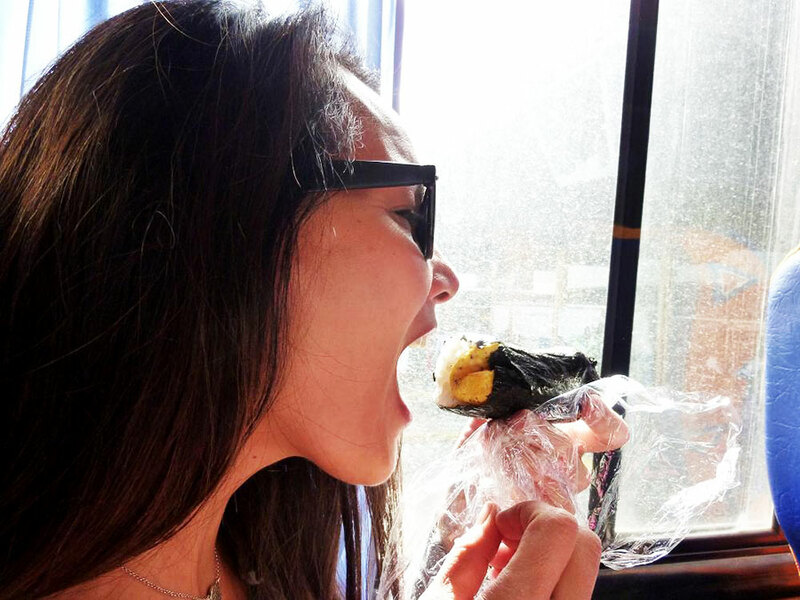 Helen was utterly amazing when she surprised me with egg musubi before we headed to the ruins. She made Hawaii food and I was sooo happy. 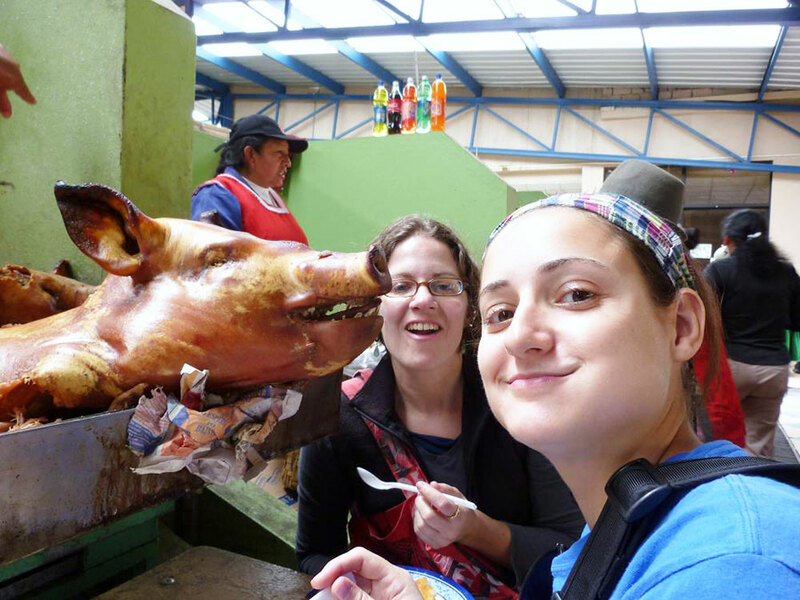 Ahh, Taylor and Jamie diggin’ on swine in Cañar’s central market. We were in Biblian and her name is Maria Flora. Just the shortest lady you’ve seen. Gave us some history about the local church. 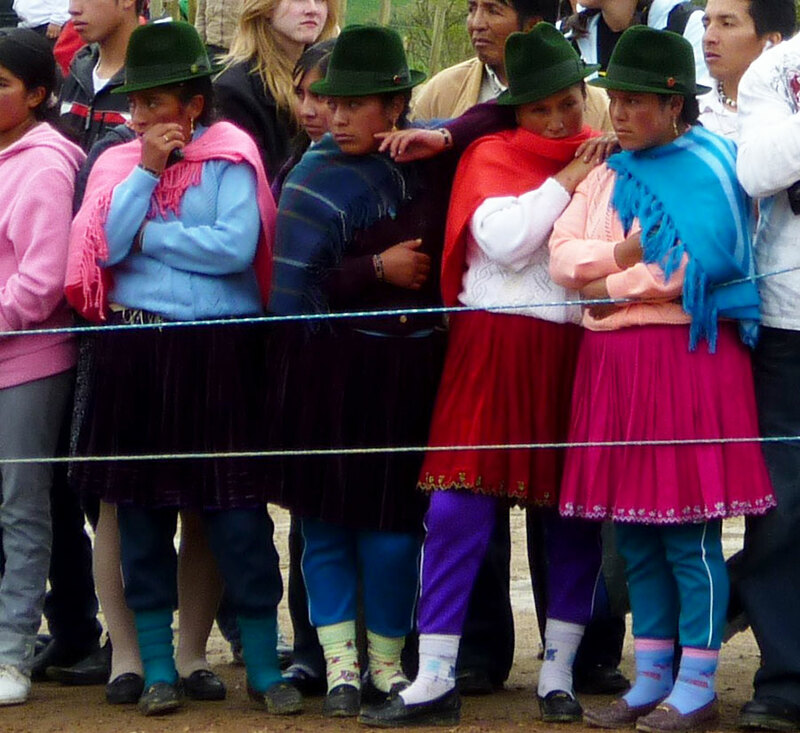 At Incapirca, these local gals sizing up the dancers, just love the way they look. 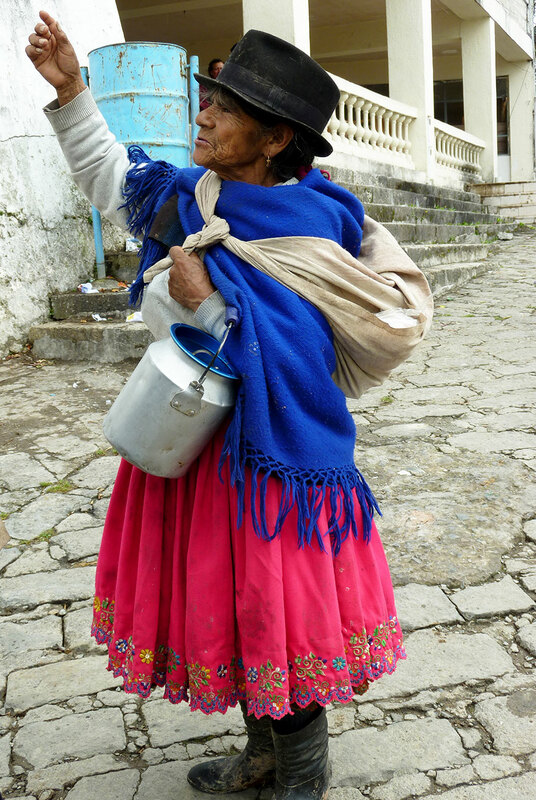 In Cañar, and also in Cuenca where I lived, this was a common sight. Mom with baby on back. Chinese shops were marked by red lanterns. 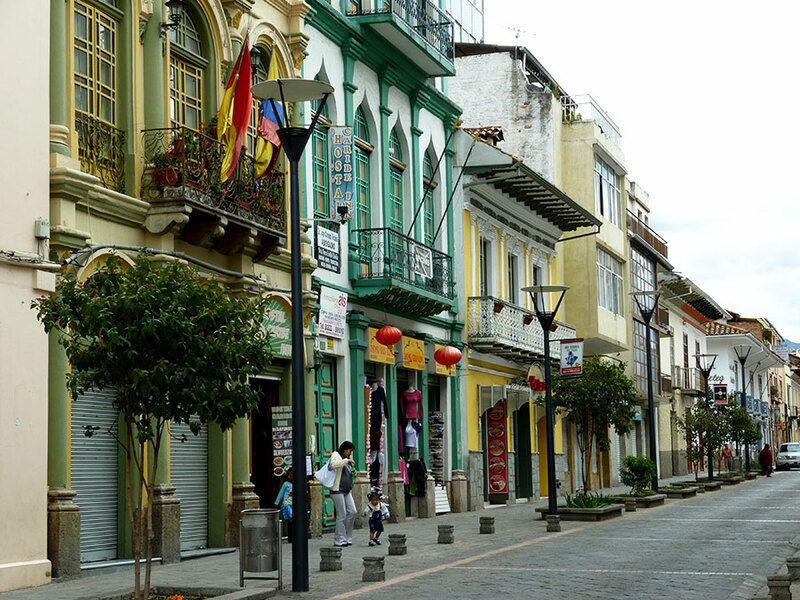 There were some Chinese in Cuenca which I found fascinating. Would like to read/study more about Asians in South Am. 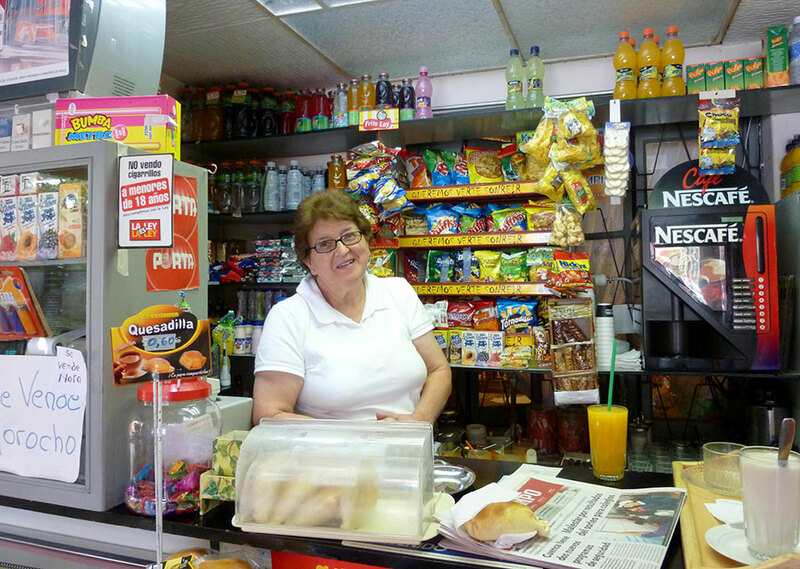 Welcome to Dina’s (also a restaurant) a common place for the teachers to stop by for coffee and snacks. Thank you. Ecuador is such a colorful and surprisingly lush green country. It’s funny how So. Am. was not on my radar, and then it was and so I went. I hope one day to return and travel throughout the continent. Looks like an interesting place to live. The street scene with the storefronts makes it look kinda’ quiet and peaceful. Dig the hats everyone is wearing, too. 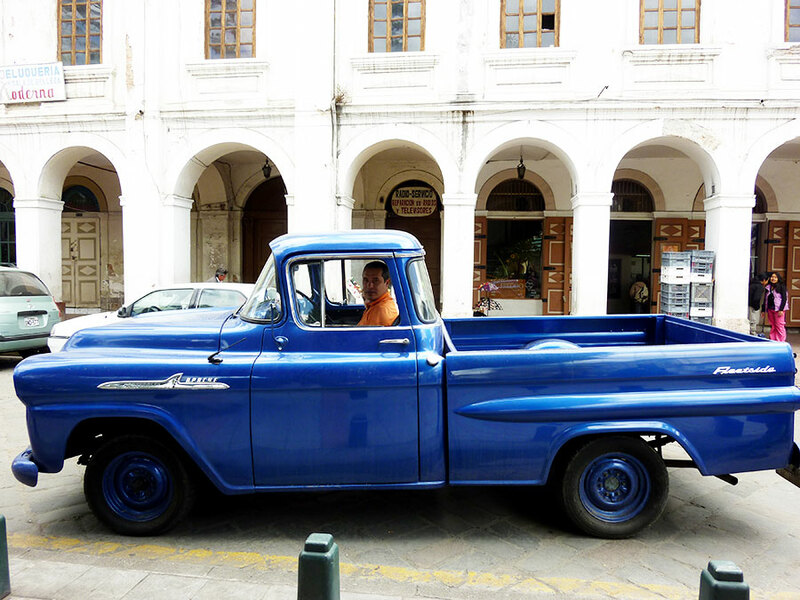 And you can never go wrong with the classic cars! 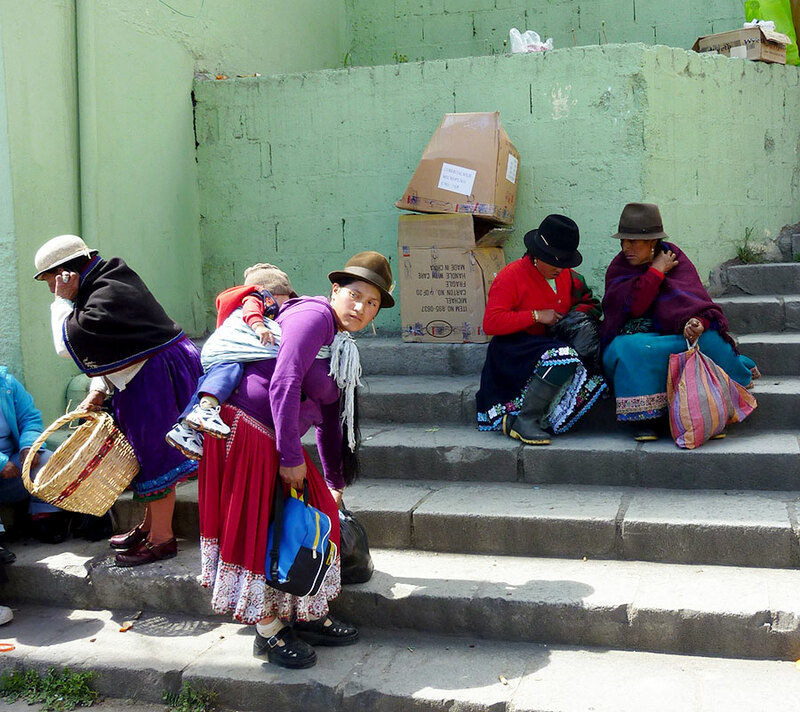 Cuenca is 2500m above sea level, so the indigenous people wore hats for warmth and sun protection! Different communities or groups wore not only different clothes but distinct hats too. Thanks Estefania. I think Latin America must be on my mind. You started it with Mexico!!! So I went back for a sneak peak at the places I’ve been and the things I’ve done. I think we should do that from time to time…happy happy joy joy. Whoa! No ways! 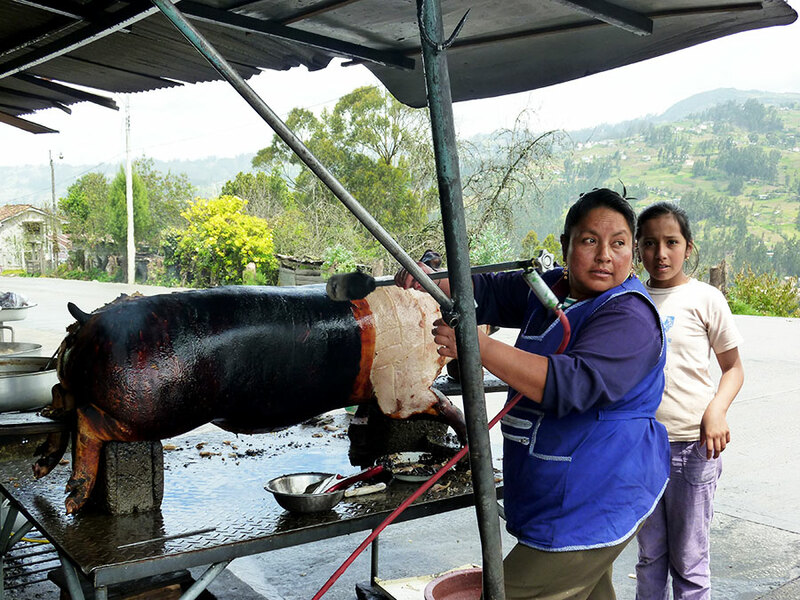 That pic of the hulihuli pig looks SO ono! Did you get to try some of that, or just snapped a shot in passing? Haven’t had some of that in a loooong time. Nice pics thanks. 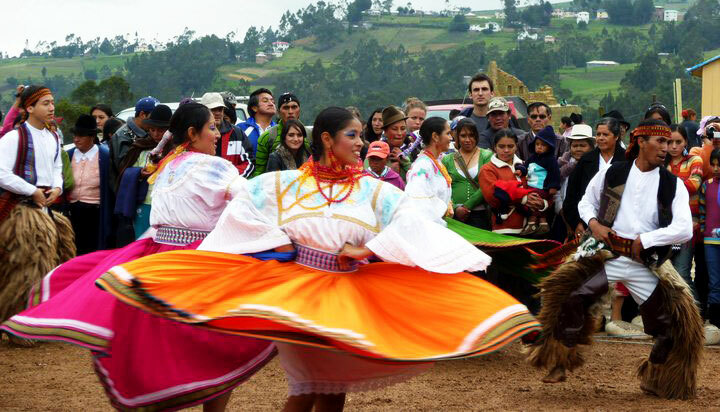 I am thinking of going to Cuenca next. Today is my first day back in the US after 7 months in CM. Could not speak Thai and had problems meeting people. Even you would not meet me LOL. Oh well. I did not belong there but I am really feeling out of place here, too. What to do!?!?! Any suggestions on Cuenca would be appreciated. Have enjoyted your site and clever writings. Best wishes. Feeling out of place is a good sign that you don’t belong. At least that has been my experience. And please don’t take offense to me for not meeting you. It’s a daunting experience for a woman to meet a man she doesn’t know. 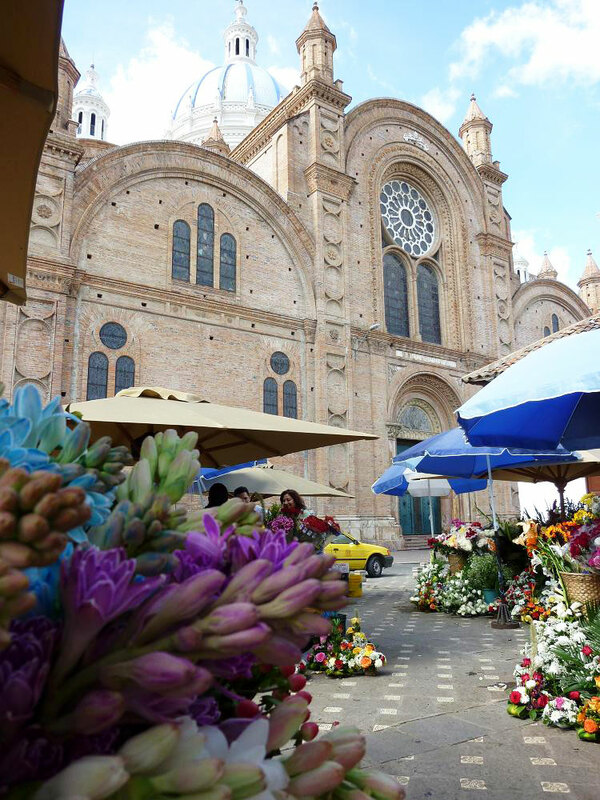 As far as Cuenca, I have written about my experiences there, so if you click on the Ecuador category, you will find them. Also doing a Google search on Ecuador blogs is a great way to connect w/ folks before you arrive. Nancy and Chuck come to mind…I never met them but their blog was nice. Thank you for the warm compliments!